Just because you don’t have soaring ceilings doesn’t mean you can’t have impressive lighting designs. Here are some recommendations to help you find high-style lighting for your low ceilings. These days, the latest home designs have great, tall ceilings, which are just perfect for hanging and showing off that super-dramatic modern chandelier. But where do such inspiring designs leave those who are still living with ceilings that are only 8 feet tall? While 10- and 12-foot high ceilings are becoming more common, lower ceilings are still quite prevalent...and still deserve a great lighting design. If you want high style but are saddled with an 8-foot tall space, there are things that you can do to capture the magic of those taller, more dramatic rooms. Here are a few tips for common ceiling light types to ensure yours is never short on style. Where you’re hanging the fixture. When your ceiling is only 8 feet high, any hanging fixture will need to be over a space that you do not walk under. Look to hang that pendant over a kitchen island, bar or sink, dining table, coffee or cocktail table or even nightstand. Scale. Foyer-style or tall fixtures can be tricky when you’re working with an 8-foot ceiling. Instead, look for compact or wider designs that will be able to sit comfortably 26-30 inches above a worktop or dining table. Think outside the chandelier. To add drama to dining rooms, a classic chandelier shape might not work. Instead, look for a longer linear suspension to get the look you want with the ceiling you have. Multiple smaller pendants over a longer dining table is another trendy way to get a high-impact look. Understand the height. Cord- and chain-hung fixtures are usually the easiest to work with, as you can just adjust the height during installation. Fixtures that use a downrod will require you to do some homework before purchasing to verify the length will work in your space. Think about how your space is used. Dropping a chandelier over a coffee table can look amazing. But if it’s in a room with a layout that gets changed regularly, that centerpiece can quickly turn into a liability. It’s understandable that most people have a negative reaction to the term flushmount. That disdain likely stems from the vast number of two-for-one, builder-grade, ribbed glass, half-dome flushmounts out there. While these do nothing for your design desires, do not fear. There is a whole world of design-driven flush and semi-flushmount fixtures for you to explore. Decorative flushmounts and semi-flushmounts can be great for creating drama and wow factor in a standard height space without sacrificing usability. Just because a fixture needs to be functional does not mean that it has to be unattractive. The simple, clean lines of certain flushmounts offer a range of looks for halls, closets or spare rooms. More and more, chandelier designs also have a flushmount style within the same collection, so you can get that statement-making drama from a fixture that takes up far less space. 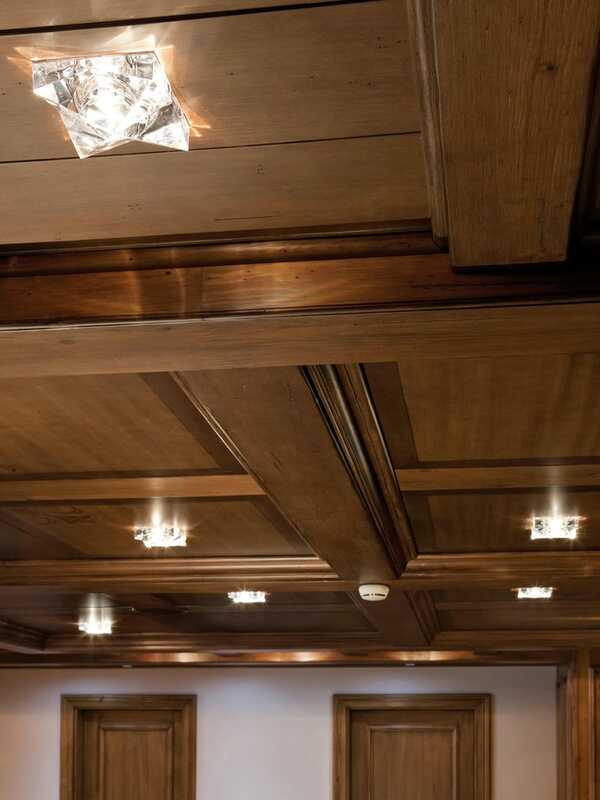 A natural choice for a standard-height ceiling is recessed lighting. It is typically designed and used so that it seamlessly becomes part of the overall space and almost disappears. But there is another way that it can be used. Decorative recessed lighting—including colored glass, faux plasterwork and even crystal—gives you lots of options for creating the drama and design that you seek without taking up any head room. With the further development of LED, recessed lighting can go in spaces where it was not able to be used before. With LED trims that require no housing and only 2 to 3 inches of clearance to install, low ceilings now have plenty of room for high-quality, high-design lighting. Recessed lighting can be intimidating, but working with a professional will ensure that you get the type, size and placement that's right for your space. 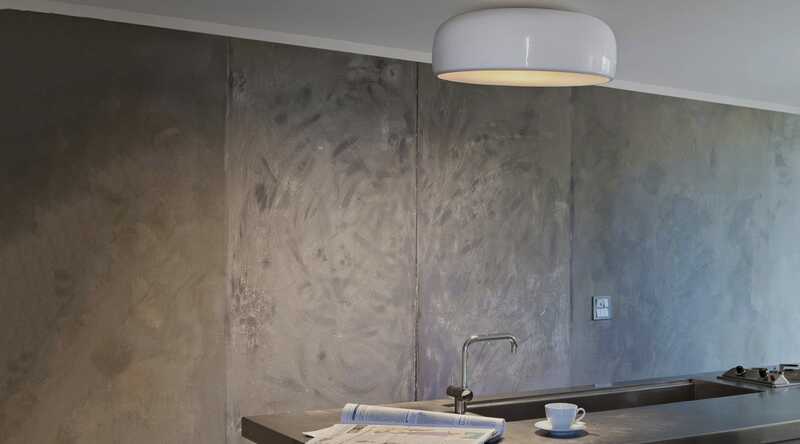 Check out the Recessed Lighting Buyers Guide for more information. Whether functional or decorative, sometimes a room just calls for a ceiling fan. Bedrooms and living rooms are often spaces where a breeze is appreciated, if not necessary. When shopping for fans for an 8-foot ceiling, it is critical to measure correctly. While there might be some standard fans with downrods that can work, they are few and far between. You’ll want to look for flushmount fans (also called hugger fans) that give you the overall installed height in the specifications. This refers to the height from the ceiling to the bottommost part of the fan body. To meet code requirements, you will need at least 7 feet of clearance between the floor and blades of the ceiling fan. So, if your space only comes equipped with low ceilings, do not despair. There are plenty of options to make your design dreams a reality.